Tom joined Rich & Cartmill in July of 2002. Prior to that he had been associated with another major independent insurance center for 13 years, dealing primarily with commercial fire and casualty. He received his CIC designation in 2001. Tom began his insurance career as a marketing rep with Hartford in Dallas, Texas in 1976. After which he spent eleven years in regional sales and management in the oil and gas industry. In 1990 he entered the independent agency system. 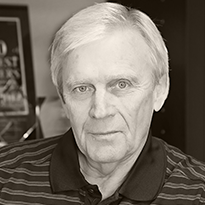 Tom attended Fort Hays State University where he was a member of the Fort Hays Tennis squad, Sigma Phi Epsilon fraternity and earned a bachelor of science degree in 1970. Tom and his wife Cindy reside on a small acreage in Edmond, Oklahoma where they enjoy working outside, and being involved in local activities. They are also active in the Edmond Elks Lodge.